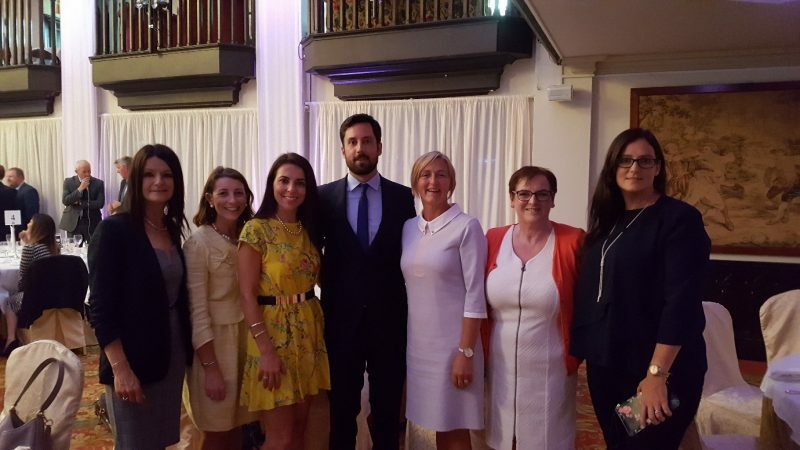 Miriam & Anne from Career Decisions team with Minister Eoghan Murphy, TD; Helen Downes, CEO, Shannon Chamber of Commerce; Ruth Vaughan, Director Corporate Sales, Savoy Hotel; Gillian Power, Human Resources Manager at Lufthansa Technik Turbine Shannon & Louise Wilkinson, HR Site Lead, Dell, Limerick at the Shannon Chamber of Commerce Lunch which was held at Dromoland Castle on 15th June, 2018. Helen Downes, CEO, Shannon Chamber of Commerce introduced to the audience the second Shannon Chamber Skillnet Level 8 Diploma in Leadership Programme which will commence in October 2018. This programme will be delivered by Career Decisions and accredited by Dublin Institute of Technology. A Breakfast Briefing designed to showcase the course content and give the attendees an opportunity to ask questions of tutors and the course director will be run on 27th June at Gateway Hub, Shannon Airport House, Shannon Free Zone, Shannon, Co Clare – start time 8.00am.